I am writing this with very sad news but trying to stay positive that it is a short term blip. 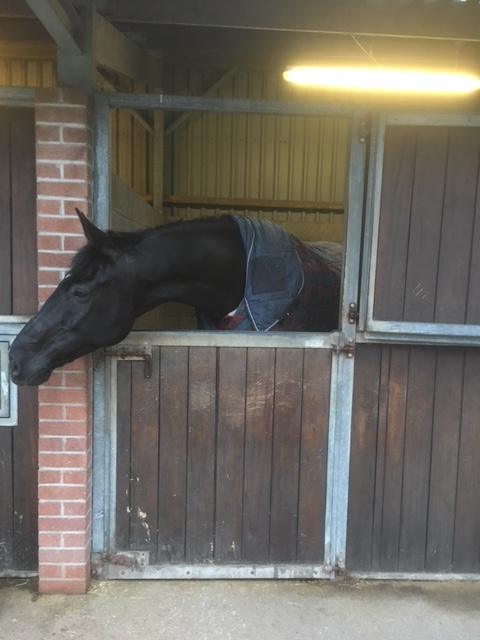 Unfortunately Detonator has got an injury I think he did it messing around in the field on Friday, he has an enlarged Sesmoid ligament in his front left leg. He is having a month walking and resting and then a re-scan, I’m really hoping we can get him back to full comp work by the beginning of July but we will miss most of the Premier Leagues which I’m totally gutted about. This horse is my world and I’m really hoping we can get him back to full work ASAP to get our Grand Prix done by the end of the year. Jonathon Anderson has been brilliant with him at Rainbow Vets so fingers crossed! Such a shame as he has been working amazingly well at home, I was so excited about this weeks trip to Addington to do our first Inter 2 at a Premier League. 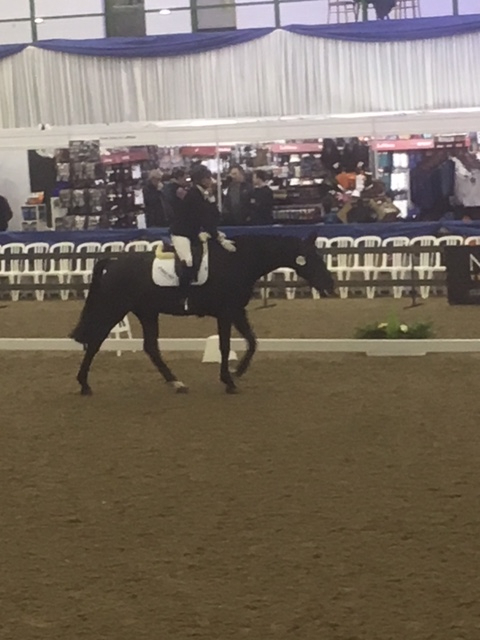 April was a quiet month for competing mainly due to finances but we did make it to the winter Nationals with Sandonista and had a brilliant time. He qualified back in February gaining 2nd place in the Elementary Music Gold section. 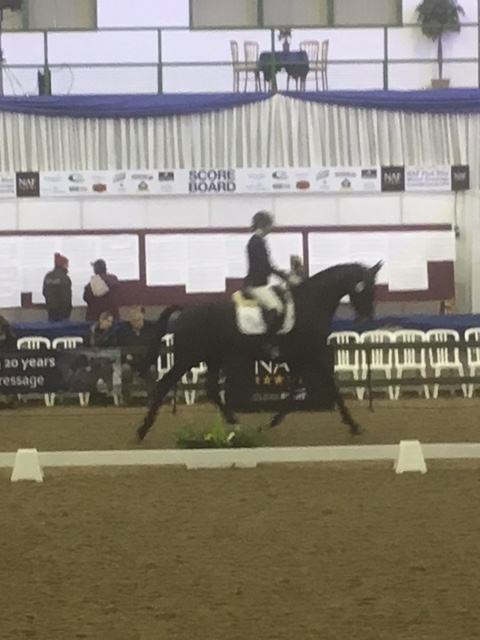 I knew it would be a very hot class with some world class horses competing and I was just determined to enjoy myself and the fact that we had qualified to compete with them all. 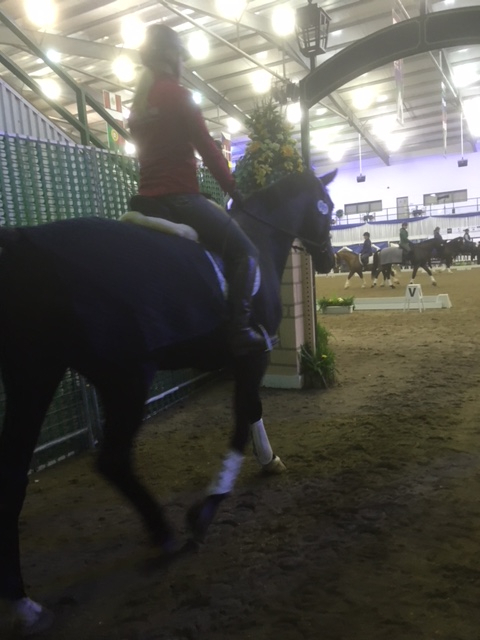 Sando has not really been away to many competitions overnight so it was quite a big thing for him and he did get rather unsettled resulting in a bit of tension, but I know what a scary arena Hartpury is having struggled with Detonator in there for years. He coped so well and just went into himself a bit, but the test was mistake-free so I was over the moon with that. So it’s now down to Sando and the lovely Tango to crack on with the competing, it’s full steam ahead for gaining our summer regional points, Sando at Medium and Adv Medium and Tango will do his first novice test this weekend. The horses are all looking and feeling so well after the long hard winter, thanks to Horslyx keeping them in tip top condition, it’s such a relief knowing that the licks have all the vitamins and minerals they need, now time for the garlic licks in the field to stop the midges and flies!